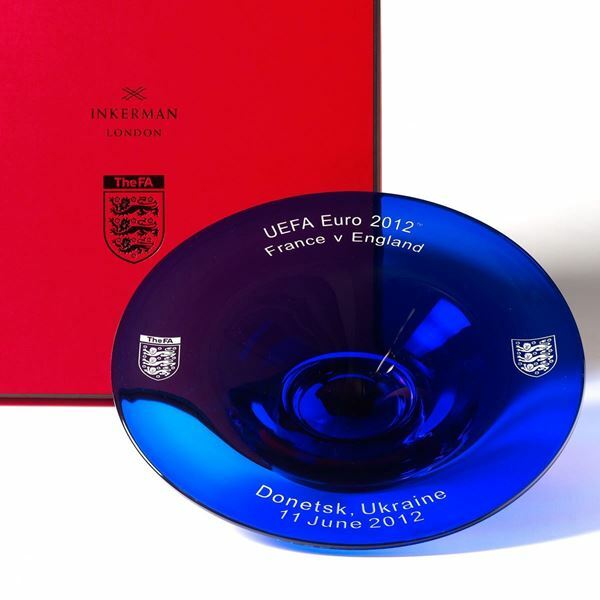 Customised presentation bowl, 35cms diameter, handmade in blue cased glass and etched with the three lions logo's and match details. Customised presentation bowl, 35cms diameter, handmade in blue cased glass and etched with the three lions logo's and match details. Commissioned by the Football Association for the UEFA Euro 2012 Tournament.